The United States Patent and Trademark Office has opened for comments and suggestions on the Trademark Trial and Appeal Boards Standard Protective Order. The new order went into effect in June of 2016. Submit comments or suggestions on the Standard Protective Order to the Trademark Trial and Appeal Boards website. The USPTO is considering changes to the Standard Protective Order, which is used to protect confidential information that is disclosed during the course of a Trademark Trial and Appeal Board proceeding. The standard order is modifiable on a case-by-case basis by order of the Board or agreement of the parties involved. It provides a number of standard terms to bind parties and witnesses and prevent disclosure of confidential information they may have learned. In June 2016 the Standard Protective Order was updated to its current form. Changes made at the time included making the order automatically imposed in Board proceedings, and recommending the parties execute a binding agreement. Alexandria, Virginia – The United States Patent and Trademark Office (“USPTO”) will hold its next in a series of Patent Quality Chats on Tuesday, July 14th, with its second Chat on this month’s topic – Face-to-Face Examiner Interviews: A Demonstration of USPTO Tools hosted by Director of Technology Center 2400 Timothy Callahan. Mr. Callahan will be demonstrating USPTO tools for virtual, face-to-face interviews and discussing various initiatives for enhancing the quality of Examiner-Applicant interviews while collecting feedback and listening for new stakeholder ideas on the same. The USPTO held its first Patent Quality Chat webinar in June; that month’s topic was Clarity of the Record, hosted by Deputy Commissioner for Patent Examination Policy Drew Hirshfeld. Deputy Commissioner Hirshfeld discussed various patent examiner training modules covering the topics of 35 U.S.C § 112, functional claiming, and making the record clear; he also reviewed the Clarity of the Record Quality Initiative. A video recording of this 1-hour inaugural event can be found here and is also linked on the USPTO’s Patent Quality Chat webpage where the slide presentation from the June 9th event can also be found. Washington, D.C. – The U.S. Department of Commerce’s United States Patent and Trademark Office (“USPTO”) is seeking nominations to fill upcoming vacancies for the Patent Public Advisory Committee (PPAC) and the Trademark Public Advisory Committee (TPAC). Nominations must be postmarked or electronically transmitted on or before July 25, 2015. 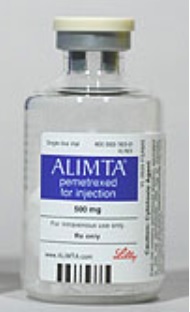 Submission details can be found in the Federal Register Notice. The Public Advisory Committees for the USPTO were created through the Patent and Trademark Office Efficiency Act statute in the American Inventors Protection Act of 1999 to advise the Secretary of Commerce and the Under Secretary of Commerce for Intellectual Property and Director of the USPTO on the management of patent and trademark operations. The Public Advisory Committees review the policies, goals, performance, budget, and user fees of the patent and trademark operations, respectively, and advise the director on these matters. 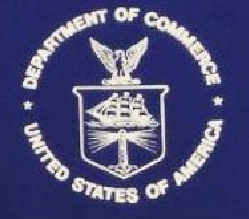 Each committee has nine voting members who are appointed by, and serve at the pleasure of, the Secretary of Commerce. Each member serves a three-year term. For more information you may contact, Andrew C. Byrnes, Chief of Staff, Office of the Under Secretary and Director, USPTO, by facsimile transmission marked to his attention at (571) 273-0464. Washington, D.C. – The U.S. Commerce Department’s United States Patent and Trademark Office (“USPTO”) will host an Additive Manufacturing Partnership Meeting on Wednesday, July 8, 2015 on the Alexandria campus. Additive manufacturing, sometimes called “3D printing,” refers to a group of new technologies that create objects from 3D computer models, usually by joining thin materials, layer upon layer. The meeting will serve as a forum for sharing ideas, experiences, and insights between individual users and representatives from the USPTO. Washington, D.C. – The U.S. Department of Commerce‘s United States Patent and Trademark Office (“USPTO”) announced last week the appointment of Meryl Hershkowitz as Deputy Commissioner for Trademark Operations. In her new position, Hershkowitz will oversee the examination and processing of applications throughout trademark operations. On Wednesday, U.S. Secretary of Commerce Penny Pritzker announced the appointment of Russell Slifer as the next Deputy Under Secretary of Commerce for Intellectual Property and Deputy Director of the U.S. Patent and Trademark Office (“USPTO”). Slifer left his role as the Director of the USPTO’s Rocky Mountain Regional Office in Denver. He began his new duties at USPTO headquarters in Alexandria, VA, on the day of the announcement. 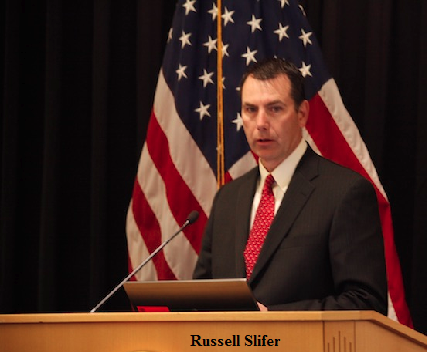 While Director of the USPTO’s Denver office, which opened on June 30, 2014, Slifer served as the agency’s primary liaison with the innovation community in the Rocky Mountain Region. He was actively engaged in education and outreach initiatives, empowering the USPTO to develop programs, policies, and procedures to meet the needs of the Rocky Mountain West innovation community.